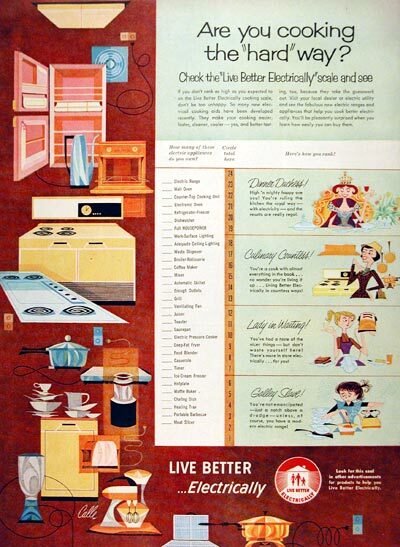 1957 "Live Better Electrically" original vintage advertisement. This was a campaign initiated in 1956 by General Electric Company and endorsed by power utilities and electrical manufacturers across the nation to produce public awareness and increase the demand for electricity. Features a quiz and grading scale to determine your household rank.